CPA Horticulture have supplied loose bulk bark, woodchips, soils and composts to the general public, landscaping suppliers and local authorities nationwide since December 1998. 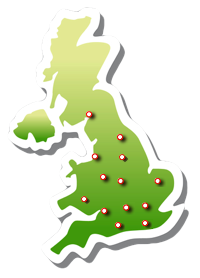 CPA Horticulture has depots and yards strategically located throughout the country from Yorkshire to Dorset, West Wales to Norfolk and high activity hubs in Somerset, Birmingham, Reading and London (among others) allowing us to provide you with local deliveries at extremely competitive prices. With a transport network of over 100 lorries including 6 wheeled tippers, 8 wheeler bulk tippers, articulated tippers and full sized articulated walking floors we have the right vehicles to meet your demands. In 2014, CPA Horticulture also launched a new bulk bagging service providing customers with a white labelled bagging service. Whether you require bulk bags or smaller more manageable bags (70/75 Litre), printed or unprinted. Read more about our “Becoming a Reseller”. CPA Horticulture delivers nationwide from 600 Litres all the way up to 100,000 Litres within 24 hours. Please contact us to find out more information and open a trade account on 01994 231121 or by using our “Trade Application Form”.